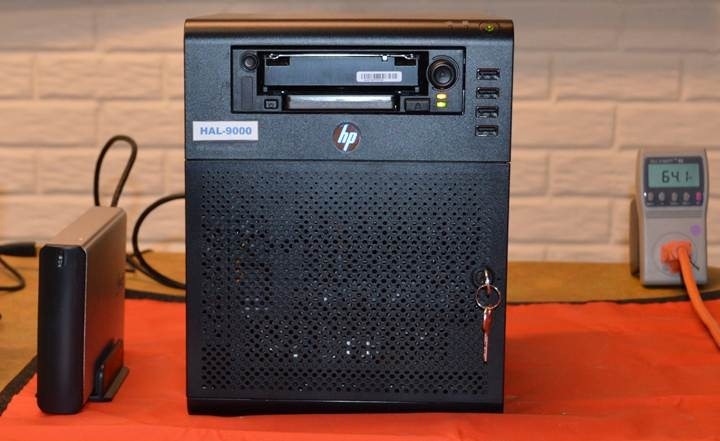 Early last year I purchased my first HP ProLiant N40L MicroServer (“MicroServer”) and wrote about some of the things I did to build-out my MicroServer after flashing the modified BIOS from BIOS-MODS. After building-out my second MicroServer that summer and the many things I’ve learned over the last year I felt it was time to re-visit and re-fresh my first Blog. The HP N40L ProLiant MicroServer’s I purchased came with 2GB of RAM, a 250GB Seagate HDD, and a 150W power supply. 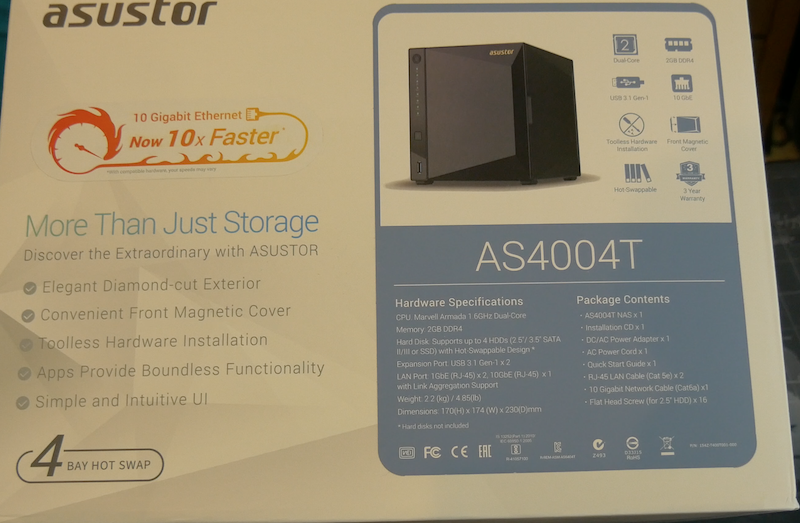 One was part of a combo package that included Windows Home Server 2011. One thing I found useful: With my first MicroServer I didn’t check out the Stock BIOS in the MicroServer before flashing it and afterwards I wished I had -- before flashing the BIOS of my second MicroServer I pulled the HDD that came with the MicroServer and the first time I powered-up the MicroServer I hit F10 and checked out what was in the Stock BIOS. 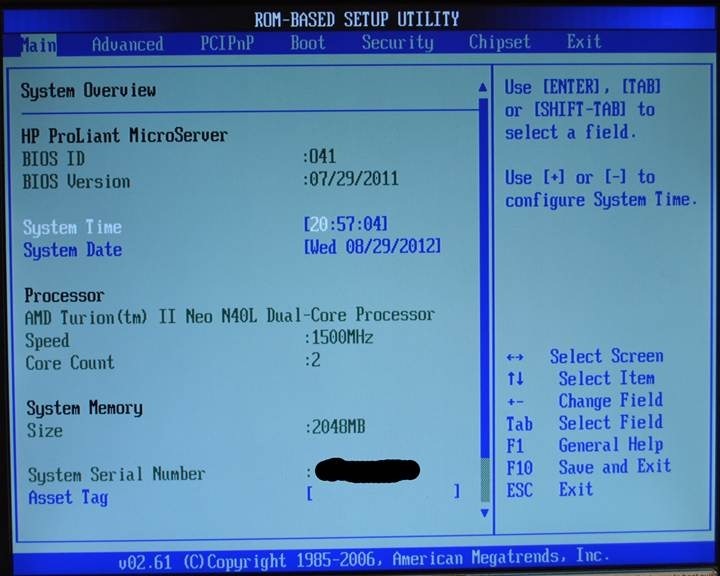 Figure 1 shows the MAIN screen of the Stock BIOS. Caution: This isn’t a project for the inexperienced or faint of heart because you may be voiding any warranty you have as well as easily destroying or bricking your entire system. 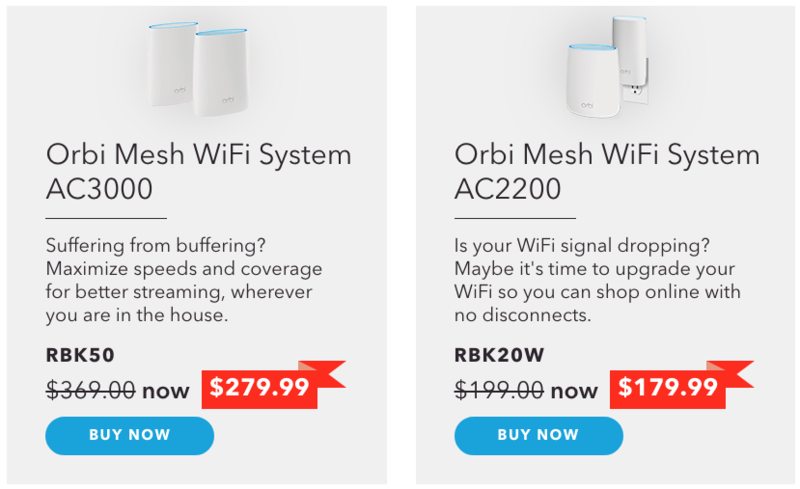 Proceed with the steps in the following reference links and Figures at your own risk. 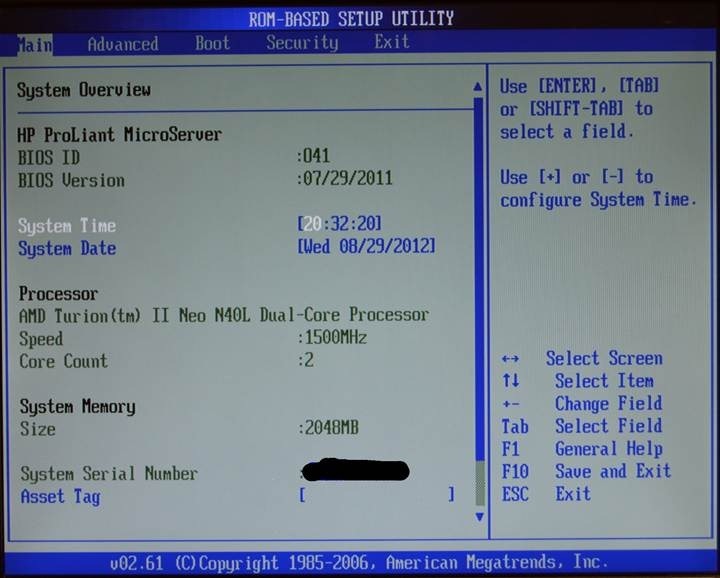 In the original HP MicroServer N40L Build and BIOS Modification I wrote how I flashed the modified BIOS from BIOS-MODS to my first MicroServer using John Zajdler’s, @DieHarder on twitter, Diehard in the HomeServershow.com forums, guide and suggestions. DieHard is a rock star! I followed his notes and suggestions and had no problem flashing BIOS-MODS modified BIOS that would unlock many of the hidden features on the MicroServer – especially enabling me to set SATA port 5 (the mother board port for the ODD (“Optical Disk Drive”) if installed) and port 4 (the eSATA port on the back of the case) to AHCI and at a higher port speed than it’s default. At that time I downloaded HP’s SoftPaq from cvscorp, prepared a bootable flash drive and copied the file over from BIOS-MODS. Since that time the Forum thread started by DieHard has grown, as of this writing, to over 15 pages and 290 messages and continues to grow. When issues surfaced on cvscorp’s availability last year DieHard made copies of the necessary files available from his SkyDrive account (Get Flash.Zip & SP54344.exe). With the Flashing of the BIOS for my second MicroServer I wanted to document my experience and put together a step-by-step guide that was all in one place, starting with the original HP BIOS. 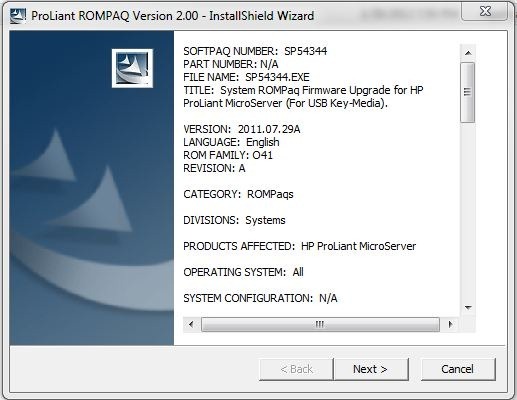 At HP’s webpage, Systems ROMPaq Firmware Upgrade for HP ProLiant MicroServer (For USB Key-Media), download the file SP54344.exe to your laptop or desktop (I used my Windows 7 Professional Desktop Machine) and follow HP’s instructions to create a USB that can flash your BIOS. USB Key - HPQUSB.exe is a Windows-based utility to locally partition, format and copy necessary files to a USB flash media device (“USB Key”) through the Windows environment. The created USB Key is made bootable and ready to locally restore and/or update the firmware (“BIOS”) on the system. 1. Obtain a formatted USB Key. 2. Download the SoftPaq to a directory on a Microsoft Windows system and change to that directory. 3. From that drive and directory, execute (Figure 2) the downloaded SoftPaq file: Simply double click on the SP54344.exe file and follow the installation wizard to complete the SoftPaq installation process. At the end of a successful installation of the SoftPaq a web page will automatically appear to provide you with a link (Figure 3) to create a USB Key – alternatively, after the successful installation of the SoftPaq you could change to the directory the SoftPaq was installed to (default is C:\SWSetup\SP54344) and either execute start.htm in that directory or HPQUSB.exe in either C:\SWSetup\SP54344\Flat Files or C:\SWSetup\SP54344\USB Key directories. 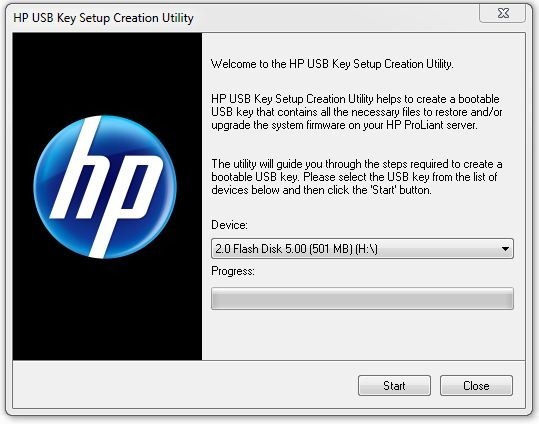 If you followed HP’s instructions (above) you would have created a USB Key for re-installing the factory BIOS currently on your N40L. This may be handy to have on a spare USB key, so set it aside and create a second USB Key with the Factory BIOS installed on it. That first USB Stick that you created and set aside can be used as your System Recovery Key if you’re system should fail to Boot after attempting to Flash the BIOS. Note: I don’t know why the USB Drive and the Flash Disk file counts are different but they both worked. To flash the Modified BIOS ("BIOS-MOD") you need to first get the BIOS-MOD -- you can follow DieHard’s link to BIOS-MODS thread for the HP Proliant Microserver AMI BIOS-MOD and in Post: #5 of that thread Camiloml attached the file that you can download, o41072911mod.rar, or just click on this direct link to the zipped file o41072911mod.rar -- o41072911mod.rar is what you want. Un-zip it with Winzip or some other SW package and you’ll have the file o41072911mod.rom, thanks to the hard work of the people at BIOS-MODS! Rename o41072911mod.rom to o41072911.rom. 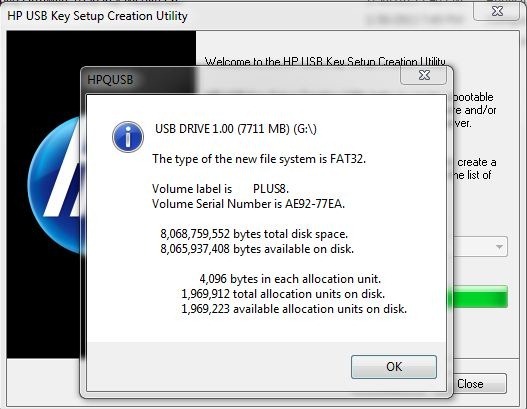 Replace the file O41072911.ROM on your second USB Key created by HP with o41072911.rom – (IMPORTANT: the ROM file begins with the letter Oh, NOT the number Zero – this simple error has been the genesis of many crash and burns during attempted Flashs. 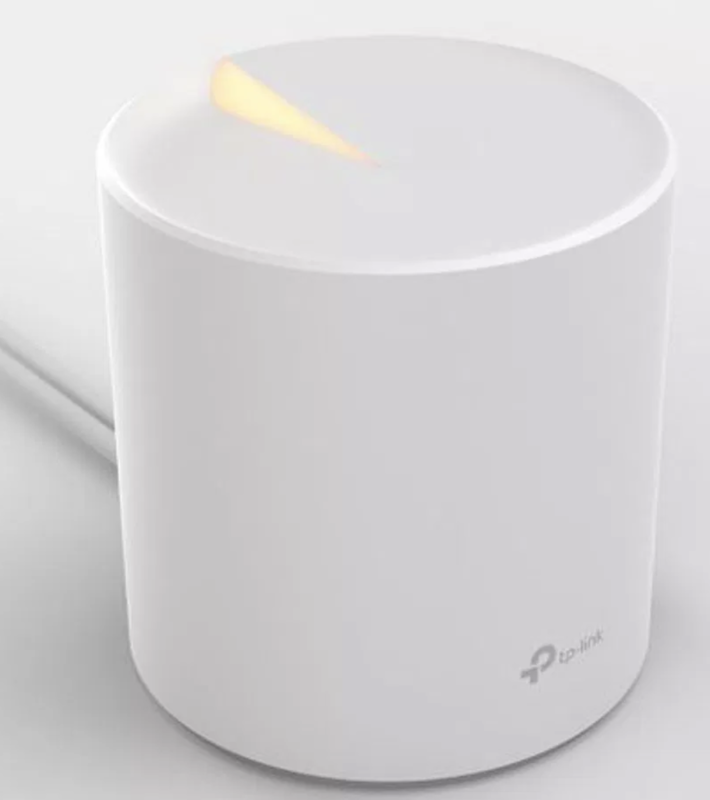 Another big danger is a power interruption to the MicroServer during the Flash – attach your MicroServer it to a Uninterruptible Power Supply (“UPS”) if one is available during the Flash. Another common problem has been an incompatible or just plain bad USB Key. For other failures or issues check HP’s Troubleshooting guides.) The uncompressed o41072911.rom is also in Diehard’s SkyDrive folder Flash. Now, with your USB Key with the BIOS-MOD ROM file replacing the Stock/factory BIOS ROM (notice the file names were the same and they are the same size) you can flash your BIOS per HP’s instructions: “Insert this USB Key into the USB Key port of the system to be updated and power the system on to boot to the USB Key”. I created my USB Key with the BIOS-MOD on my Windows 7 Pro Desktop Machine. I’ve used 2 different Lexar 8GB sticks, a Team Fusion Plus 8GB stick, 2 no-name complementary 0.5GB sticks from an Alumni group, and 1 no-name 1GB stick I got at a trade show – all worked for me. With the MicroServer turned off I inserted the USB Key, the one I had created with the BIOS-MOD added, into the top USB Port on the front of the MicroServer and, after plugging in the power cord, I turned on the MicroServer. NOTE: The process will begin instantly: If the USB Key is in a USB port on the MicroServer when you power it on – the whole process is automatic – as soon as the USB Key is seen during POST the MicroServer will begin to flash your BIOS – and will need roughly a minute or more to complete the process and finish to the C:\> prompt. The Flash of my second HP MicroServer with BIOS-MOD was complete at the 46 second mark. Caution: DO NOT power down the MicroServer before you see the prompt. After you’ve powered down the MicroServer then power it back up (or simply hit Cntl-Alt-Del to restart the MicroServer) and hit the F10 Key to get into the BIOS and check out the new things that are visible. 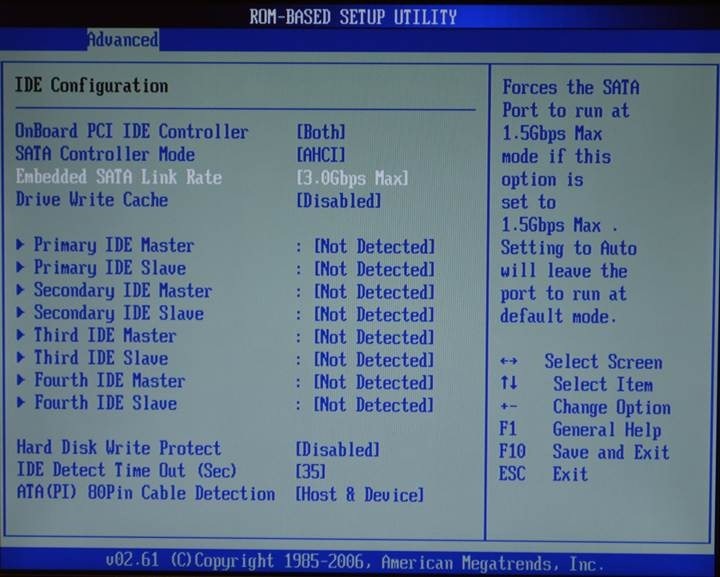 The MAIN screen of the Modified BIOS from BIOS-MOD will appear as shown in Figure 8. Notice the difference between Figure 8 and the Stock BIOS shown in Figure 1 with the additional BIOS Tabs of PCIPnP and Chipset. BIOS-MOD doesn’t modify the Stock BIOS except to make visible code that was already in the Stock BIOS but had been hidden. ______ 3. Change to directory where you downloaded or copied SP54344.exe in step #1. ______ 4. Double-Click to Execute SP54344.exe – follow installation wizard to create a bootable USB Key (for best practice for disaster recovery create an extra). ______ 6. Move the USB Key (from #5) to any available USB port on the MicroServer. ______ 7. Turn on the MicroServer and wait for the C:\> prompt. ______ 8. Remove the USB key -- Reboot or power cycle the MicroServer and hit F10 to enter the ROM-BASED SETUP UTILITY – success will look like Figure 8. Starting from the MAIN screen shown in Figure 8 above and using information I had found at Message #1217 and NAS Build Guide I moved through a number of screens to set Ports 4 & 5 to use AHCI and set all Ports to be external SATA Ports (basically enable hot swap). Notes: (1) OnChip IDE Type can be set to IDE or Legacy IDE – I have one MicroServer (WHS-2011) set to IDE (see Figure 9) and the other (S2012E) set to Legacy IDE (see Figure 10) and haven’t noticed a performance difference between the two, YMMV; (2) setting all Ports to be external SATA Ports will make all of your Ports to be Hot Swappable – this is something you would need later if you want to use the Port Multiplier functionality of the eSATA Port (Port #4) – there are registry hacks that will remove the hot swap functionality from specific Ports but I didn’t bother, again YMMV. 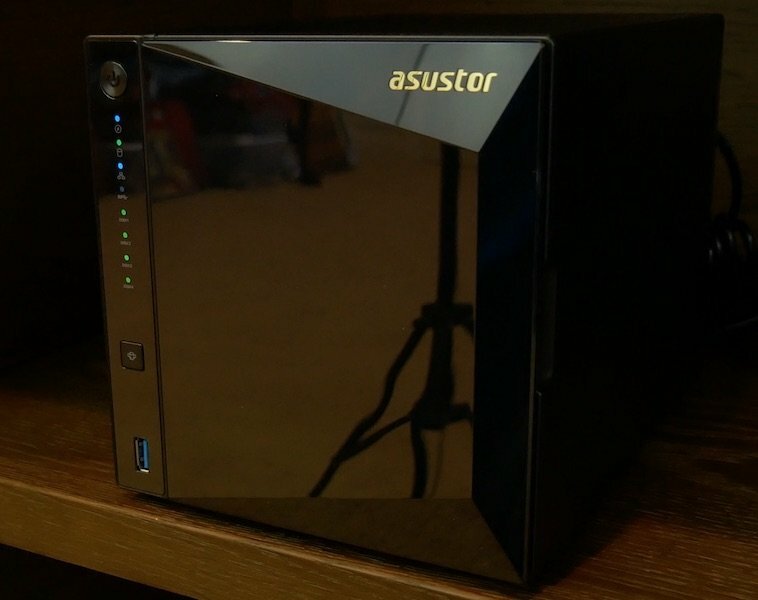 A link to the steps outlined by Alex to enable the Port Multiplier on the eSATA port can be found in Useful MicroServer links and References that highlights the necessary posts to read in the thread Successfully enabled Port Multiplier on eSATA. 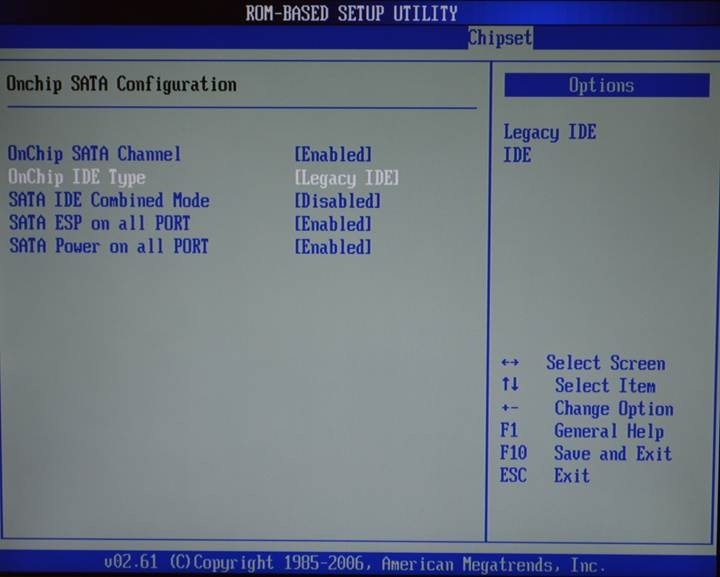 Depending on your planned setup you may not want to Disable SATA IDE Combined Mode – LoneWolf found that disabling SATA IDE Combined Mode also disable the ability for the MicroServer to see his HP Smart Array P410 Hardware RAID controller. YMMV. 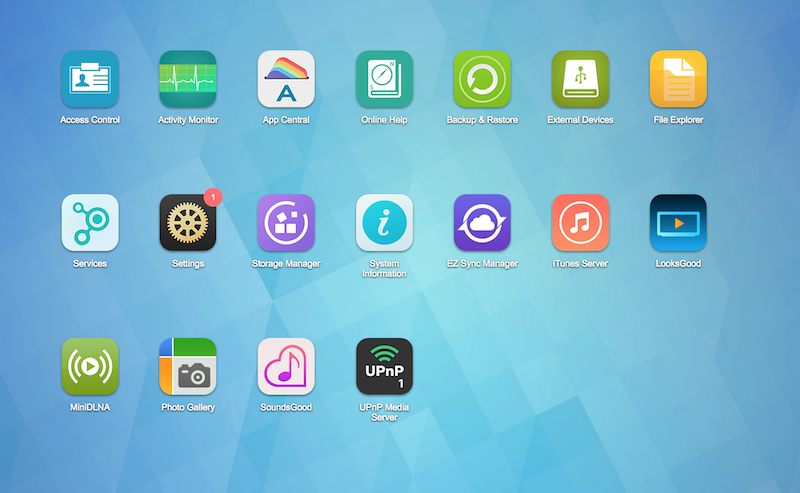 Be sure to SAVE your changes when you EXIT the ROM-BASED SETUP UTILITY! After flashing the BIOS-MOD and making a few minor changes in the BIOS I was ready to add additional RAM, OS drive and OS, internet cable connection to the onboard NIC, data drives, PCIe cards and many more things to this great little box. Currently, I have one MicroServer in production with WHS-2011 (Figure 12) for my home files management and providing a bare metal backup of my client computers. · Server Backup Drive: WD20EADS in a Rosewill RX35-AT-SU3 USB 3.0 External Enclosure – because of WHS-2011 Server backup limitation to 2TB only critical data is backed up to the external drive. A place to start reading up on the many capabilities and possibilities of the MicroServer is the page of Useful MicroServer Links & References. 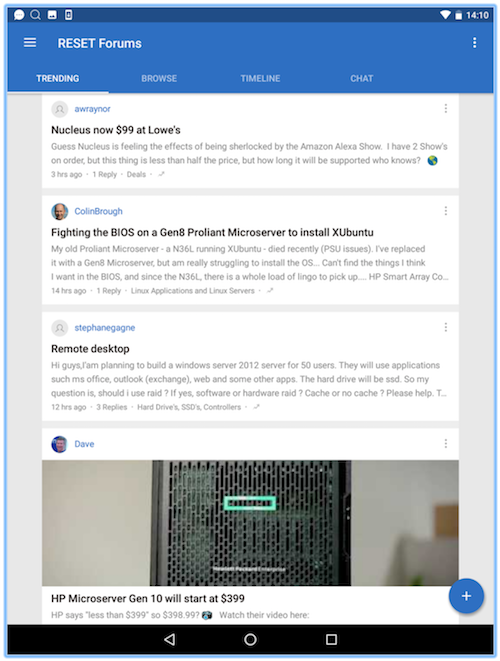 Next check out the threads at HP MicroServer for answers to just about all questions about MicroServers, but if you don’t find a thread addressing your specific issue be sure to start a new thread and list your question. 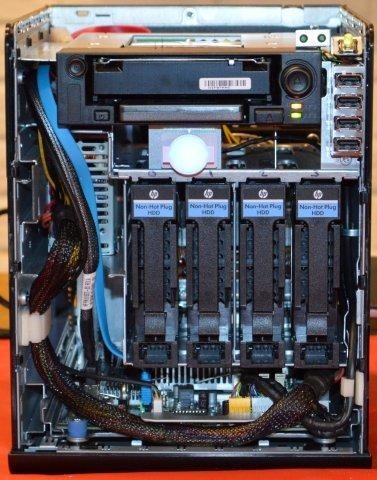 · Modified BIOS for MicroServer N40L Enables Hidden Features – This is DieHard’s Forum Thread that started everything – This thread is worth taking the time to read in its entirety – lots of valuable information including information about capabilities in the BIOS exposed by the BIOS-MOD like S3 and USB 3.0 that are NOT available/supported in the hardware – read the thread. · More Interesting MicroServer Links – This Forum Thread has important links to information and Video’s – take the time to check out all the links – lots of valuable information. Guys Does this custom bios enable you to install hyper-V server 2012R2 without problems? I cant install the OS because of a problem with the network card. This is fixed in the latest official bios upgrade but hp made it unavailable if your device is out of warranty. Thanks in advance! 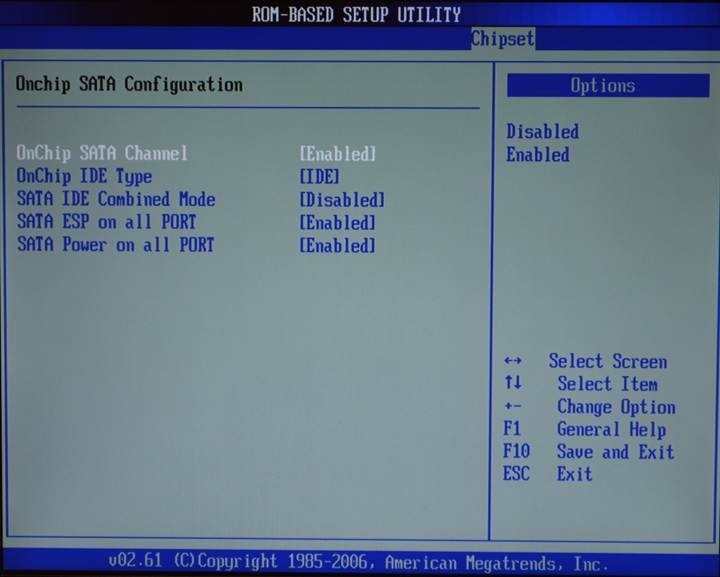 The BIOS-MOD is not necessary to be able to boot from Ports 4 or 5 (the Optical SATA port on the System Board and the eSATA port) but the port sustained transfer rates will be capped at approximately the SATA I rate -- check out the HSS Forums for examples. 1. 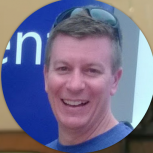 Check out the HSS Forums -- there are several types that people have had success with -- my only experience has been with the WD's I wrote about. 2. I have used several brands of Molex to 2 SATA Power connectors (Y type connectors) with success, Star Tech is one. This will work with both the N36L and N40L, correct? Thank you!